Peter heads the team of dedicated veterinarians, veterinary nurses and animal attendants.After graduating from Sydney University in 1989 Peter gained valuable experience in the field working in various locations in Australia and around the world. In 2016 Peter was granted membership into the Australian and New Zealand college of Veterinary Scientists recognising his dedication to continuing professional development and his expertise and competence in the field of Surgery. 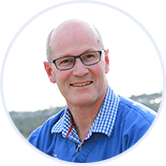 Peter has a wide-ranging knowledge and extensive experience of all aspects of veterinary science and has now been serving the animal community of Collaroy for over 20 years. Out of the office Peter enjoys outdoor pursuits of all kinds; cycling, kayaking and bushwalking, especially with his kids and family in tow. Peter is supported by a remarkable team of talented and compassionate staff. Vets and nurses are highly skilled and experienced and study programs of continuous education and development. Tennille graduated from the University of Queensland in 2003. She then worked briefly in mixed practice on the outskirts of Brisbane before moving to London where she worked, lived and traveled until 2010. Since moving back to Australia she started her Master’s of Veterinary Studies degree through Murdoch university. Tennille completed her Masters degree at the end of 2016 with a focus on small animal internal medicine which is her passion. In her spare time you can catch her running or doing yoga down at Manly beachfront or chasing after her toddler. Alex joined the team at Collaroy in 2018 after moving from Western Australia where she lived and studied for 5 years. Alex graduated from Murdoch University in Perth with a Bachelor of Veterinary Medicine and Surgery. Alex is particularly interested in dermatology, surgery and brachycephalic health. She has volunteered extensively at a number of wildlife shelters overseas and at regional communities promoting companion animal health. 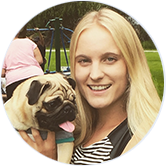 Outside of work you will find Alex spending time with her pug Olive, practising hot yoga or at the beach. James graduated from the University of Sydney in 2018 and has grown up in Sydney. James wanted to be a vet since watching Dr Harry on TV from the age of 5. 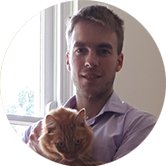 James has a particular interest in pathology, orthopaedic surgery and feline internal medicine. James is the proud owner of a beautiful ginger cat called Tiger. Outside of work James enjoys going to church lifting weights and practicing martial arts. 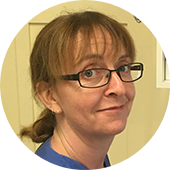 Marianne graduated from the University of Sydney in 1992 and practiced in a number of rural and urban practices before joining the Collaroy Veterinary Services team in 2009. 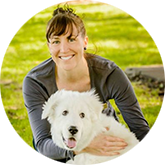 In addition to her veterinary science and business degrees Marianne has studied with, and is certified by, the International Veterinary Acupuncture Society as a veterinary acupuncturist. She gains great satisfaction in seeing the results that this complementary therapy in addition to conventional medicine can provide for many pets. In addition to acupuncture, Marianne’s main areas of interest in veterinary practice are pain management, animal behaviour and feline medicine. Naomi is passionate about animals, ever since going camping and exploring the country a lot as a kid. 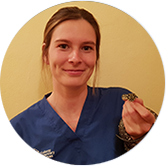 Naomi completed her veterinary nursing certificate in 2013 and since then has worked in practice at several small animal hospitals gaining a lot of experience and trying her hand at everything a local vet practice has to offer. Naomi particularly enjoys caring for native wildlife, and has a snake of her own, Mr Smithers. In her spare time Naomi is usually down at the beach, swimming, surfing and snorkeling, or at home drawing. 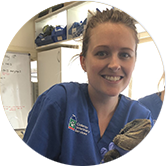 Gemma grew up in New Zealand and worked in various finance and sales roles for several years before moving to Sydney and making a career change to the veterinary industry. 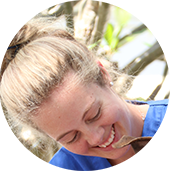 Gemma volunteered with Collaroy Vets while studying for her vet nurse qualification. We quickly realised her hard work and dedication and employed Gemma full time. Gemma is now a qualified Cert IV Veterinary Nurse. Gemma grew up with a menagerie of pets including cats, dogs, mice, birds, sheep, chickens, snakes and fish. 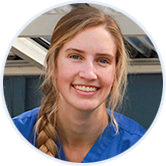 She has a passion for animals, the outdoors, coffee and is committed to further education in the veterinary industry. Chloe knew from an early age she wanted a career working with animals. While at school, Chloe was accepted into the Taronga Training Institute at Taronga Zoo and completed her Animal Studies Certificate II. From there, Chloe enrolled at TAFE to study for the Vet Nursing Certificate IV and works part time as a trainee nurse with us. In her free time, Chloe enjoys hanging out with her two Chocolate Labradors, Bindi & Bojangles, and cat Shanti, who was adopted from us in 2014. Lilly knew from a young age that she wanted to work with animals. She joined Collaroy vets as a volunteer to gain work experience after graduating from high school. We soon realised Lilly was a caring and dedicated animal attendant and employed her as a trainee nurse. Five years on and Lilly is a fully qualified and accomplished nurse. 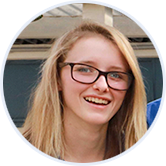 Lilly’s passions are studying anything about animals and travelling, especially to exotic and far-flung places! Lilly has a very gorgeous and well behaved Australian Shepherd dog named Middy who also likes coming to work at Collaroy when she is not being a companion doggie to the elderly. 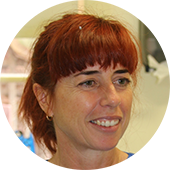 Leesa has worked alongside Dr Pete at Collaroy for many years and is an extremely experienced and skilled nurse. Leesa now works part-time, combining career with a busy family life on the Central Coast. You are most likely to meet Leesa at work on the weekends and holidays. 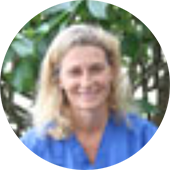 Julie is a fully trained and experienced nurse and has also worked at Collaroy vets for many years. Now a busy mum, Julie works part-time juggling vet nursing and the school run! Julie’s favourite post is on reception welcoming our patients and their owners and dispensing huge amounts of advice and information! Georgina joined Collaroy Vets as a volunteer to gain experience on her path to a career in veterinary science. We soon noticed her passion and aptitude for the work and employed her as a trainee nurse. At present Georgina is in her second year studying a Bachelor of Equine Science at Charles Sturt University via distance education and aims to study for a Bachelor of Veterinary Science to fulfil her childhood aspirations of becoming a vet. Georgina’s family includes two off the track Thoroughbreds and two pet goats.